Cast your spells with confidence when you wear the Enchanting Mage Robe. This medieval fantasy robe is made of soft suede fabric, and it is accented with smooth taffeta trim in a matching color for a captivating touch of shine. This wide taffeta trim accents the mandarin collar, the sides of the open front, and from the top of the shoulders, gradually widening down to the hem of the wide sleeves. 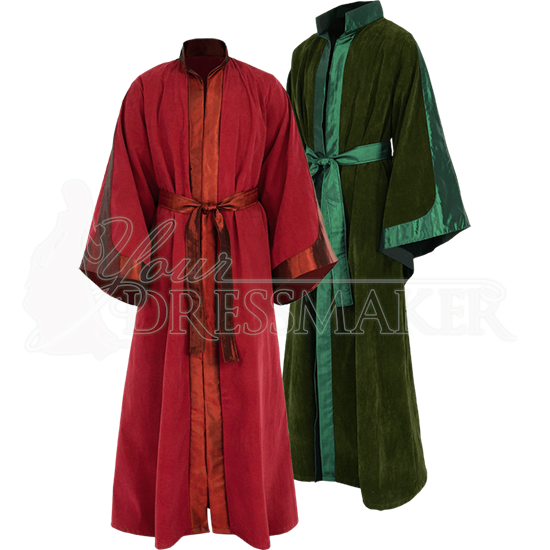 Cinch this open front medieval robe at the waist using the included taffeta belt. 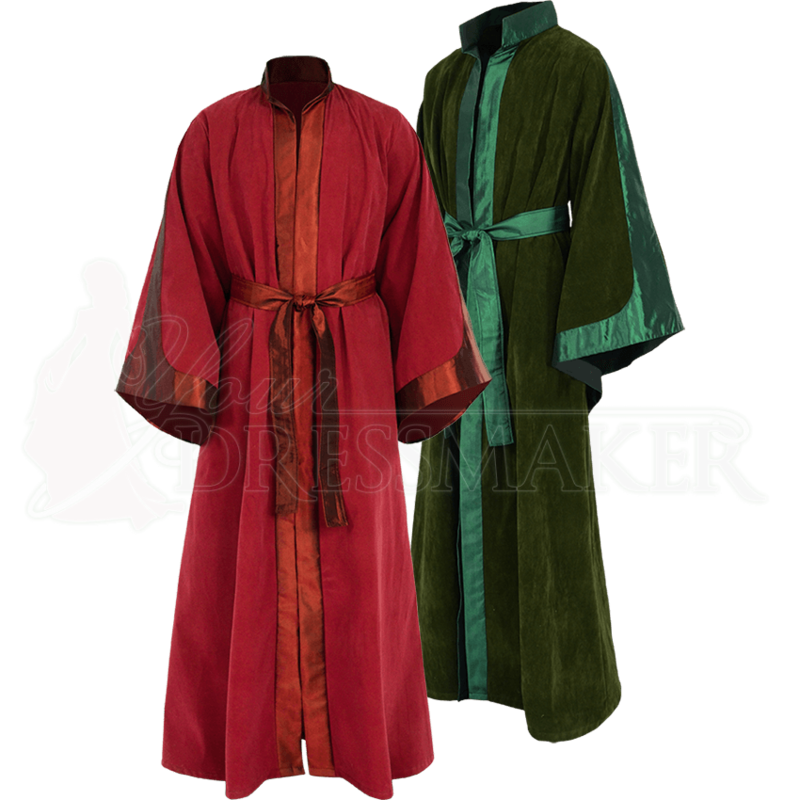 Available in a range of sizes and a variety of colors, this Renaissance robe is perfect for wizards, sorcerers, monks, adventurers, and all manner of other historical or fantasy characters.